Last night I was privy to attend an exclusive listening party for the new album by Smif N Wessun titled Monumental. What has had me excited about this album for I dunno, the last year and half since it was announced it was coming was the fact that it is producd entirely by Pete Rock. In case we haven’t met yet, Pete Rock is in my Top 5 list of Producers of all time. I am also excited that there is finally a release date slated, after a year of waiting around and all this hype, it is finally here: June 28th it will be available to the masses. So cut to the Ace Hotel, venue of choice for a Duck Down, Smif N Wessun reunion. I got there a little after start time and had to wait on line for a good 20 minutes. I was worried about missing the start of the album, but then saw Skyzoo, Pete Rock, Cipha Sounds and their entourage cut in front of me and go in as I approached the entry. Nice. Well, at least i didn’t have to worry about being late. I made it in after them and hit the bar which was packed. Standing next to the person ordering a drink for Pete Rock I learned his drink of choice is red wine. Impressive, I thought. My bf and I double fisted some drinks and made our way to the main room. The set up of Liberty Hall left a lot to be desired – It seemed like so many different entrances to one small room that didn’t even have a stage. Everyone was cramped and standing in a mobb facing the front where the 3 chairs set up for the artists were placed. This wasn’t too annoying until I tried to get a spot facing that set up and realized the entire front row was a mobb of “photographers” (I.E. people with digital cameras and camera phones). I stayed put and just quietly drank my cuervo and pineapple, that helped. Finally, Cipha made a few opening jokes and started the album. Pete was nice off the red wine, it was like seeing your parents drunk for the first time, a lil shocking and amusing at the same time. He did a lil two step and kinda adlibbed whatever Steele was saying when answering questions about the making of the album. I thoroughly enjoyed that. 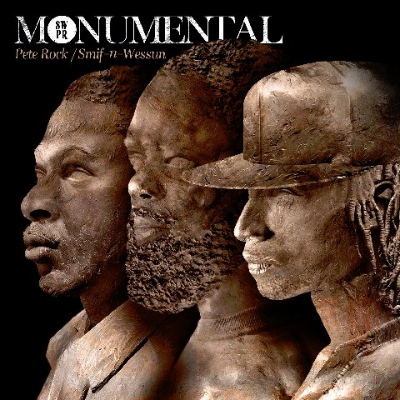 So, onto the album itself: Monumental, is Smif N Wessun with Pete Rock on production. It consists of 14 tracks, well 13 actual songs and one intro (you know how Pete is with his intros). There are 12 features which is almost as many songs on the album. That means only 3 of the songs are soley Tek and Steeele. Not sure how I feel about that yet. The production is of course, stellar. Pete Rock shows a huge range in his ability with songs like “That’s Hard”, then going into something totally different like the reggae infused song “This One”. 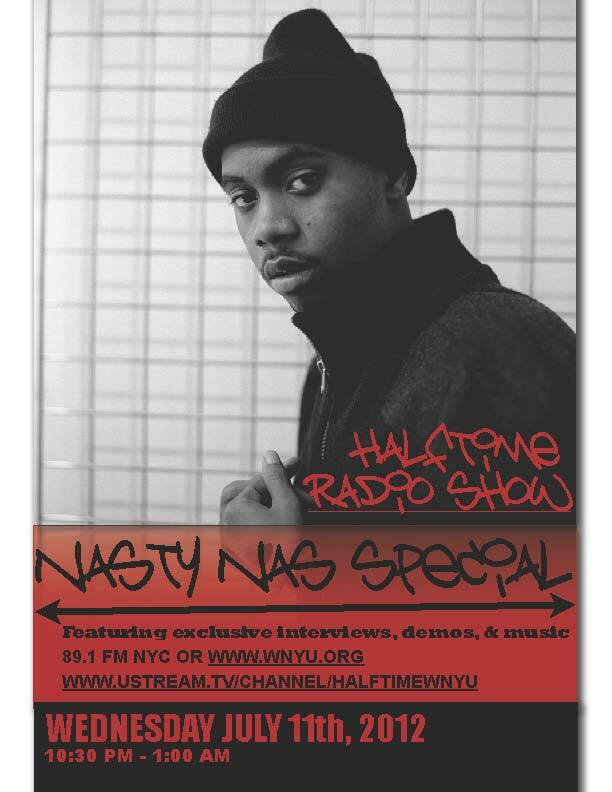 The strongest tracks to me that stood out were the afore mentioned “That’s Hard” (featuring Sean P. and Styles P.) has the best lyricism, “Monumental” (featuring Tyler Woods and Pete Rock) and “Nighttime” (featuring Pete Rock and Buckshot) for their gritty head nod beats and energy. Oddly, they all have features which makes me skeptical. The three songs without features – “Go Off”, “Time to Say” and “Fire” didn’t stand out. As a Smif N Wessun fan, I like them as a group, they have a unique sound that works and great energy that has kept them relevant for 15 years. That was what I was looking forward to hearing on this album. However, I gotta be honest and say I didn’t really get that sound or feeling. 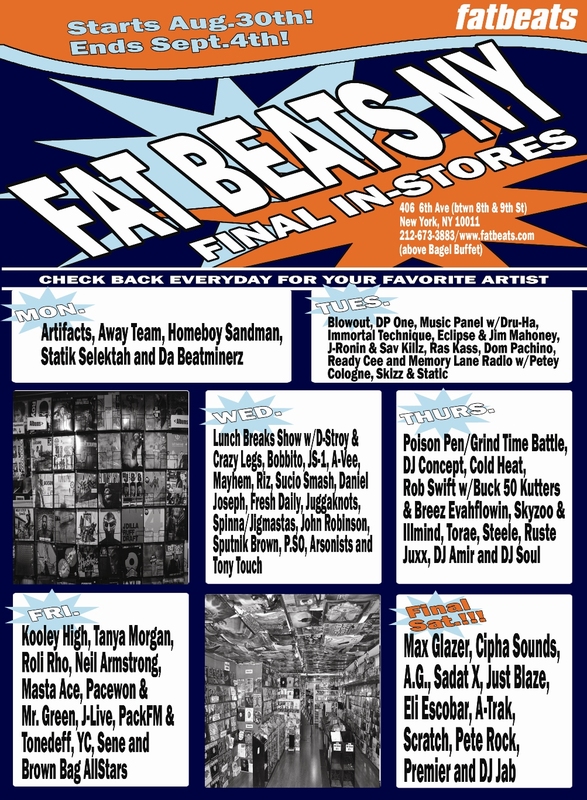 Instead of showcasing Smif N Wessun, clouded with so many features, it became something else. It became an awesome Pete Rock album, featuring Smif N Wessun and friends. So, either way, Monumental is a win for Duck Down – they are killing it with their snowball of hardhitting albums: Pharoahe Monch, Random Axe and now this. However, if it’s a win for the fans of Smif N Wessun is yet to be determined.